Ascot Races are known world-wide. Beautiful horses. Lots of visitors having great fun. Many jobs created. Other aspects of this pleasant place are less known. 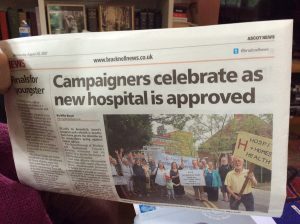 Here’s what concerns local Residents….the future of our local NHS Hospital; part of our nation-wide worry. Around 23 years ago local residents in Ascot started sniffing around rumours that the local hospital, was under threat. Sniffing quickly became serious digging. Plans to close the hospital were unearthed. Heatherwood Action Group HAG began. 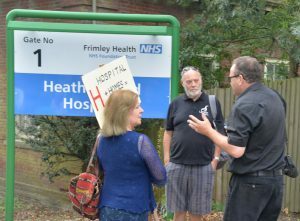 Demos & Scrutiny emerged…even closed the main road down to Bracknell on one bold day. Many local people attended the public meeting at Licensed Victuallers’ School, at which the Health Authority gave information and were amazed at Campaigners’ fierce and informed questioning. 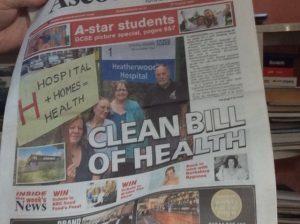 The Campaign consolidated into SHH … Save Heatherwood Hospital: an amalgam of concerned groups in Windsor, Bracknell and Ascot. 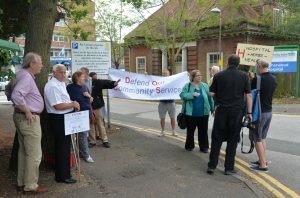 In later years this group has allied closely with the Bracknell based group DOCS – Defend Our Community Services: a watch-dog for Austerity cuts across a broad band of community services, including Libraries. During the intervening years, these hard working activists have balanced their public vigilance through membership of public accountability sections of the (endlessly) reconfigured local Health Authority. Plethora of meetings. Mountains of committee papers.. often received a day before the meeting. We balanced this detailed self- education about plans for the Hospital, with public Alerts in marches up Ascot High Street, local press coverage, small scale public meetings in a variety of locations and supporting a 1,000 strong public meeting at Ascot Race Course. Unprecedented community awakening during which our local elected Representatives felt the hot wind of that fine phenomena PUBLIC OPINION, blow their way. 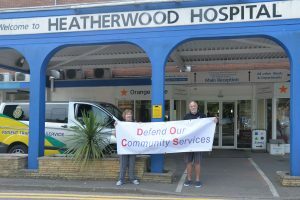 As one of the SHH supporters … a Hospital Specialist said privately “WE SAVED HEATHERWOOD” True ! Without the extent and persistence of community opposition, the prime location in wealthy Ascot would have been sold for plush housing… income returning to local health provision coffers. SO….22 August 2017 was a great day !! After years of negotiations, funding applications and detailed planning, our local Hospital Trust gained a vote in favour of the new £90 million hospital at the Royal Borough of Windsor and Maidenhead Council’s Planning Committee meeting. Crowded meeting. Loud applause at result of the vote to oppose Borough Planning Officer’s ‘advice’ to reject the proposed Hospital plans on grounds of environmental protection. “Trees not Knees” ! Phew !!! Last minute huge anxiety ! Couldn’t believe the possibility….likelihood.. of the absolutely final attempt to secure Heatherwood’s long-term future, going down the plug hole. As Campaigners, we feel triumph within our long – time comradeship . We FEEL it as a response to the cry from so many locals when lobbied for support over the years …”BUT MY BABY WAS BORN THERE”. We have become sensitive that Hospitals carry the heart stories of a Community’s myriad lives, deaths and daily struggles. And on September 18th SHH & DOCS continue their ALERT in support of the NHS. We are mounting an EXHIBITION at Jagz, Ascot entitled “HOW COME WE DIDN’T KNOW ?” – a photographic exhibition created by Marion Macalpine. Her photographs & text illustrate the quantity of Health Service provision taken into Private Health Sector: a hidden mud-slide. 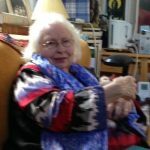 Answer: because most of us are lulled, bought off, tired, feel pretty hopeless, powerless……..
Hope lies in the fact of Community voices slowly becoming a fulsome chorus for solidarity, inclusion, democratic accountability. THE campaign of TODAY, NATIONALLY.